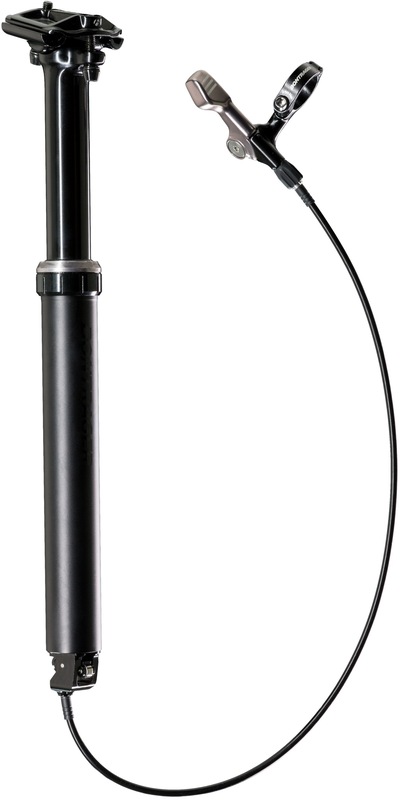 Remote cable actuation with an ergonomically designed under-bar lever. The air-sprung hydraulic locking cartridge offers infinite adjustability within dropping range. A keyed chassis prevents rotation for a stable ride. The 2-bolt rocker head with micro adjustment allows for easy saddle tilt adjustment. Internal cable routing keeps housing tucked away and free from moving wheels. Includes cable, housing and 1x under-bar remote lever. On-Bar Drop Line Universal Lever sold separately. The frame must be compatible with internally routed seat post routing.